Sounds great Cormac. But the big thing for me is the revisionism. Some science historians seem to omit things because they don’t fit well with contemporary physics. For example in Schrödinger’s 1926 paper quantization as a problem of proper values, part II, he said “let us think of a wave group… which in some way gets into a small closed ‘path’, whose dimensions are of the order of the wave length”. 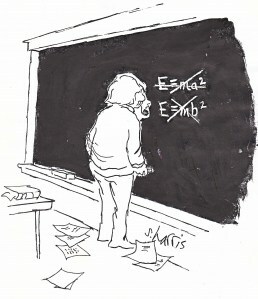 Schrödinger was talking about the electron, but I’ve never seen anybody ever mention it. Thanks for the report Cormac… love the Hasok Chang quote: ‘Sometimes science is the context’.